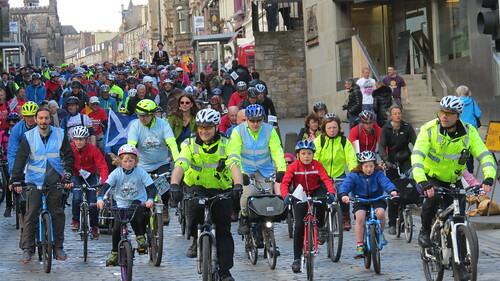 Early morning downpours did nothing to deter the crowds – or dampen the spirits – that descended on Edinburgh today for the fourth Pedal on Parliament, the annual grassroots campaign for safer cycling. 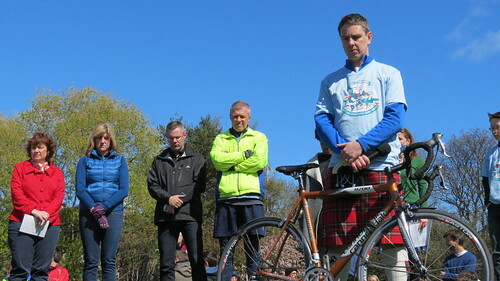 Cyclists and marchers gathered at the Meadows to call for a cycle-friendly Scotland, including some who had ridden from as far afield as Glasgow, Moffat, and even Elgin. 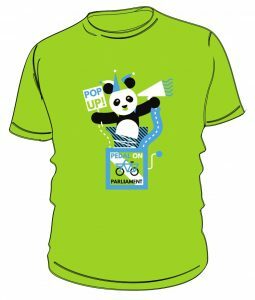 A parallel event in Aberdeen, the first time a PoP event has been held outside the capital, also drew 150 cyclists. 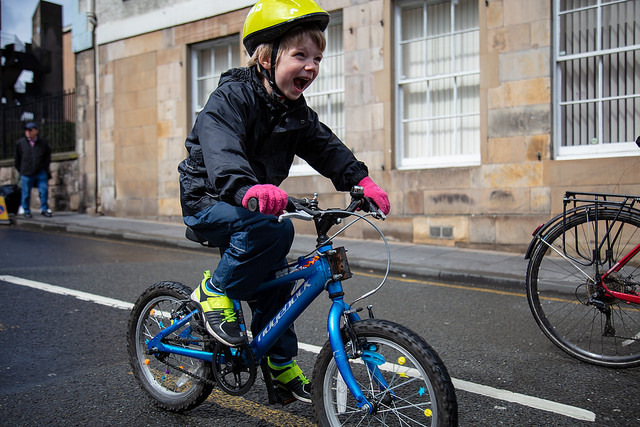 Despite tweeting a picture of herself on a bike the day before, First Minister Nicola Sturgeon did not attend, but Transport Minister Derek Mackay did, pledging that the Scottish government would increase investment in infrastructure on top of last year’s record-breaking spending. 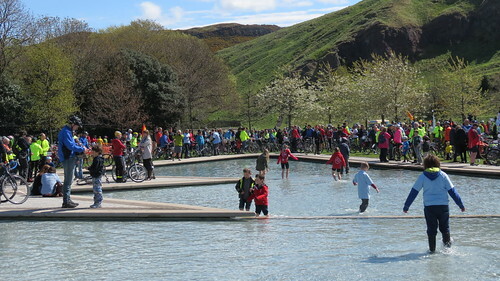 Bruce Whitehead Left Unity candidate, said “We have a strong belief that we need to tackle the climate catastrophe that we’re facing – and transport is responsible for 24% of emissions. I will be working hard to lobby for an integrated transport system of trams, trolley buses and bikes.